A modern desktop PC is a power machine. Many systems can handle an incredibly large and diverse workload. I sometimes play a 3D game while I also have multiple browser windows open on my second monitor and I have a YouTube video playing. Why? Well, because I can. But you know the saying, right? More windows, more problems? Managing an endless buffet of windows can be a bit of a chore, and Windows has never been the best at making it easier. This is particularly true if you’re using an older version of Windows, such as XP, but even Windows 7 has room for improvement. This program is a light and simple way to add functionality akin to Mac OS X Expose to Windows. When you press the hotkey, Switcher opens up all of your windows in a thumbnail view and arranges them for easy selection. Easy, right? Functionally, that’s about all Switcher does. But there is a lot of customization in the program, which makes it possible to tame Switcher in any way you choose. The program can be activated by any hotkey you define, or can be activated by the position of your mouse. There are three different view types – tile, dock and grid – giving you plenty of options to select your favorite style. You can even say how windows should look when thumbnailed including their frame, label and more. That’s all there is to Switcher, but that’s all there really needs to be. It’s a quick, simple program that can be installed, configured and then left alone. Any computer quick enough to benefit from this program’s functionality should not be slowed down by setting Switcher to run automatically on boot. Although Windows 7 users won’t gain much from XNeat Windows Manager Lite, those still using Windows XP will likely enjoy this program, as it allows the older operating system to enjoy some task management enhancements that are similar to the features of Windows 7. Half of XNeat’s functionality relates to the taskbar and how windows on it are managed. With XNeat installed, you will have the ability to sort and group programs listed in the taskbar using drag-and-drop functionality. In addition, you will have access to a new right-click context menu that provides options for finding windows by their type (hidden, trayed, etc) and finding recently opened items. Note that this context menu doesn’t work if you’re running Windows 7. Another new menu that has been added can be found by using the middle-click mouse button on a window’s titlebar. 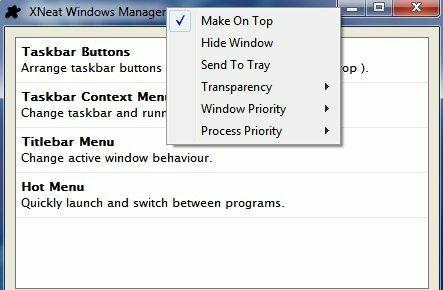 This will open an array of options including the ability to send the window to the system tray, make the window stay on top, or make the window transparent. You can even change the process priority of the window, although to be honest, I’m not sure you’ll see much effect from this option on a modern PC. Last, but not least, is the Hot Menu. This is accessed via a hotkey, opening a menu that lets you select through all open windows. 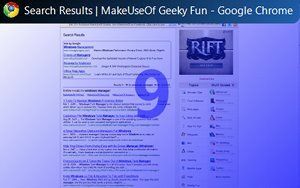 You can also access many of the same functions XNeat makes available by right-clicking the taskbar. Note that the Hot Menu does not appear to work in Windows 7. Do you like buttons? Do you like pressing buttons to make cool things happen? Then I have the software for you! 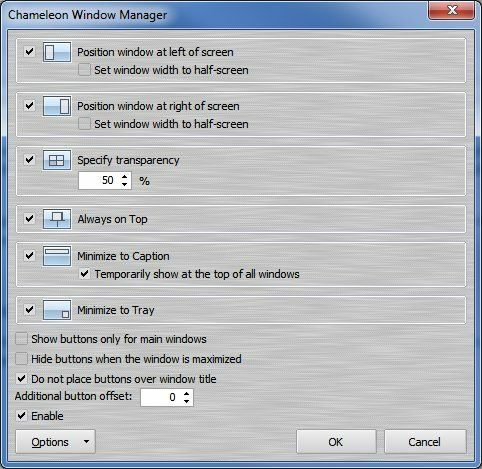 Chameleon Window Manager Lite is all about buttons. Six buttons, to be exact. These new buttons take residence on the titlebar of open Windows, and they provide mouse-click functionality to a number of convenient ways to move windows. The buttons added allow you to do the following. Align the window to the left side of the monitor. Align the window to the right side of the monitor. Make the window always on top. Minimize the window into a title bar. Move the window to the system tray. This added functionality will be somewhat more impressive to Windows XP users than to Windows 7 users, since features like window transparency and alignment are available in Windows 7, although accessed via different ways. Still, Chameleon can be handy even if you do have Windows 7 because the added buttons are sometimes quicker than, for example, picking up a window by its titlebar and then dragging the whole thing to the left side of your display. 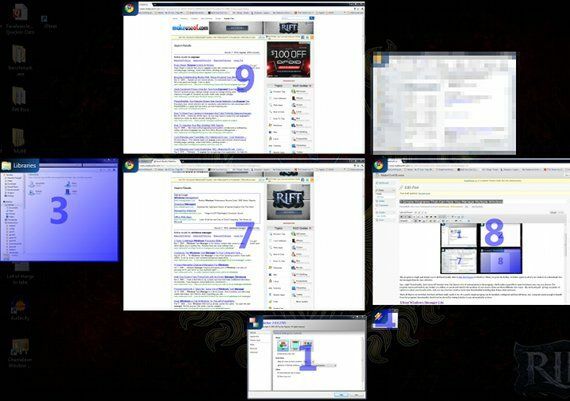 These three programs should help you manage multiple windows and keep rogue windows under control. They are just a few solutions answering a common problem, however – so feel free to leave a comment about any similar program that you love to use.